Former Western Michigan quarterback Tim Lester became the Broncos' head coach in 2017 after P.J. Fleck led the team to a 13-0 regular season and a berth in the Cotton Bowl. Fleck left for Minnesota after the bowl loss to Wisconsin. Lester will guide WMU against BYU in the Famous Idaho Potato Bowl on Friday in Boise, Idaho. Provo • The more BYU football coach Kalani Sitake studies the Cougars’ opponent in the Famous Idaho Potato Bowl on Friday, the 7-5 Western Michigan Broncos, the more impressed he becomes. For instance, the Broncos did at least two things that BYU (6-6) couldn’t do in 2018. They won six straight games (BYU’s longest winning streak was two) and they defeated Northern Illinois 28-21 on Nov. 20 at their own Waldo Stadium in Kalamazoo, Mich.
Of course, BYU lost 7-6 to NIU in Provo on Oct. 27, arguably the low point of the Cougars’ season. The Cougars are 12-point favorites to win the 2 p.m. matchup at Albertsons Stadium, one of the biggest favorites in all of the 39 bowl games, but BYU freshman quarterback Zach Wilson said WMU “has some good players” and is a “pretty sound football team” and features a lot of athletic, hard-hitting defenders. Indeed, the Broncos lost 55-42 to No. 20 Syracuse, which went 9-3, in their season opener before falling 49-3 to No. 7 Michigan. Four of their six consecutive wins came against Mid-American Conference foes. After losses to Toledo, Ohio and Ball State in high-scoring games, they finished the season — and essentially earned the bowl bid — with the win over NIU. 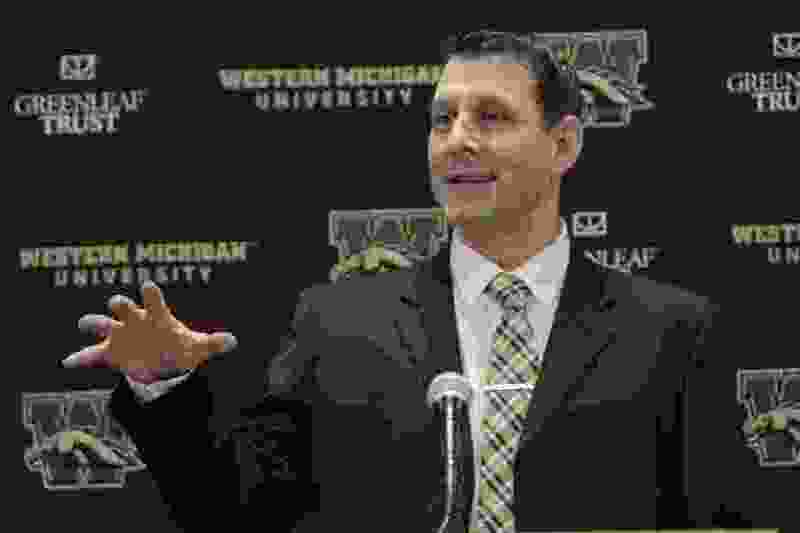 Western Michigan went 6-6 last year but was one of four eligible teams not invited to a bowl, so the Broncos are thrilled to be playing a game in the postseason, coach Tim Lester told ESPN 960 radio Friday. “To be able to go out West and play a team like BYU is exciting for everybody in our program,” he said. Lester said only four players remain on the squad that fell 38-24 to Air Force in the 2014 Potato Bowl on the blue turf in Boise. However, dozens played in the 24-16 loss to Wisconsin in the 2016 Cotton Bowl after the Broncos went 13-0 in the regular season under coach P.J. Fleck, who moved on to Minnesota. Lester, a former WMU quarterback, said his team derives some confidence from the win over NIU, and also its six-game winning streak before quarterback John Wassink sustained a season-ending foot injury. Freshman Kaleb Eleby, a former three-star recruit from Missouri, took over and has gradually improved. He threw for 285 yards in the regular season-ending win over NIU. Western Michigan scores, but also gives up, 33 points per game. It has a prolific rushing attack, led by a two-headed monster at running back, junior LeVante Bellamy and senior Jamauri Bogan. A First-Team All-MAC selection, Bellamy has rushed for 1,172 yards and six touchdowns and led the league in rushing yards. Bogan, a Third Team all-conference pick, has rushed for 702 and 15 touchdowns. Two-year defensive coordinator Tim Daoust was fired after the loss to Ball State and replaced by defensive line coach Lou Esposito. Junior linebacker Drake Spears leads the defense with 82 tackles, three sacks and an interception. The Cougars will be without one of their best defensive players, end Corbin Kaufusi (multiple surgeries) and could be without linebacker Isaiah Kaufusi, whose status has been called “not good” by Sitake. However, the coach said they are “feeling good” about the prospects of running back Lopini Katoa returning after the freshman missed the Utah game with a knee injury.